“The Sound Of Music” was one of those classic musicals that everyone “must watch”, yet I’ve managed to miss out on. Remember, I grew up in Ukraine, behind the Iron Curtain. Sounds of music were not high on the agenda, unless they were the National Anthem of the Soviet Union. Around one year ago my girlfriend found out about this missing entry in my film database and decided to correct the error. A DVD has been hastily bought by her and just as hastily placed on the “to watch in a distant future” shelf by me. Yesterday that “distant future” had finally arrived and I sat down to watch the entire movie. 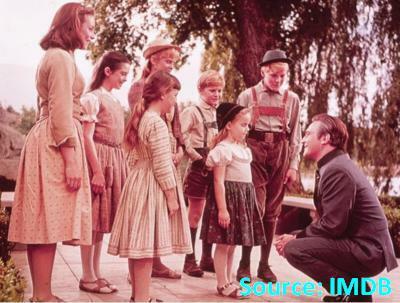 Now, equipped with expert insights into this musical treat I bring you a synopsis of “The Sound Of Music”. Please note, this recap is detailed and can substitute watching the movie. As such, it not only contains SPOILERS, it essentially gives away the entire plot. If you haven’t watched the movie and want to experience it for yourself – STOP reading right now. There’s no going back afterwards, since memory-erasing technologies have not yet been perfected, sadly. Also, if you have watched the movie, loved every bit of it and want to one day revisit its magic, you may want to avoid reading further. This recap may colour your perception and you will never be able to look at “The Sound Of Music” the way you have before. If you’re still reading, let’s go! The movie opens with helicopter shots of the Austrian Alps. Pay attention, careful viewer/reader, these mountains will be important later. After about five minutes of vague hints of distant music and camera panning across mountain ranges, hills and buildings we finally stumble upon a woman in the meadows. She’s alone, she’s dancing, singing and twirling wildly. Meet Maria – our protagonist. 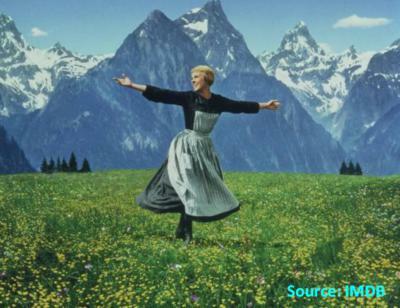 Through the first line of her song we learn that “the hills are alive with the sound of music”, as far as she’s concerned. Way to use the freaking punchline in the opening sentence, movie! As she continues her singing we learn that Maria likes to personify inanimate objects and use elaborate metaphors to describe how she feels. She’s a poet and loves nature and life with all her heart. Also, she’s acting like a five year old. Suddenly, we hear church bells toll in the distance. Maria stops singing, her face turns into a mask of confused panic, she grabs her head with both hands in a needlessly exaggerated “oh my God, not again!” gesture and starts running off towards the city. Then she realises she’s forgotten something and runs back to pick up a headpiece she’d apparently dropped earlier. So now we know that Maria is absent minded, infantile and excessively emotional. The movie can start. The title sequence helpfully tells us that we’re in Salzburg during the last Golden Days of the Thirties. Thank you, oh informative text. Then we’re in “The Abbey” watching nuns singing in Latin and performing rituals in a chapel. After they’re done and leave the chapel we learn that Maria is missing from the Abbey…again. Aha! The elderly and wise Reverend Mother (Mother Abbess) starts asking the other nuns what they think of Maria. Everyone has mixed feelings about her, but the general consensus seems to be that although she’s a kind soul and a genuinely good person she’s also completely unprepared for a responsible adult life. Since this is a musical, instead of sitting down and discussing this issue the nuns break out into a song about Maria. Here they ask a pertinent question: “How do you solve a problem like Maria?”. Then, instead of finding solutions they proceed to repeatedly and unhelpfully describe Maria as a “flibbertigibbet” and a “will-o’-the-wisp” (both words mean little or nothing to a modern audience). 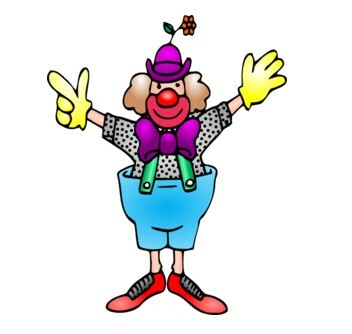 One nun insists that Maria is a “clown”, which is probably a bit harsh. Above: Not a good approximation of Maria. Except for the wildly swinging arms – those are spot on actually. Later on Mother Abbess invites Maria into her office for a talk. Maria admits that she couldn’t control herself and only ran away because the gates were open and the hills were calling her. Hmmm, it appears that it really doesn’t take much for Maria to lose her mind and any concept of responsibility. She insists she wants to become one of the nuns and is working hard on it (that is if you consider repeatedly running away to sing in the fields as “working hard”). Mother Abbess finally tells Maria that God wants her to temporarily leave the Abbey so that she can find herself, probably because it’s easier to use God as an excuse instead of just telling Maria that they’re all tired of her crazy antics. And so the Reverend Mother sends Maria off to be a governess and…take care of seven children! Wait a second, didn’t you just spend the entire start of the movie showing us that Maria is incapable of keeping a constructive thought in her head for longer than a second? Maria finds herself incapable of attending to her nun duties as soon as hills and natural phenomena “beckon” her to join them. What I’m saying is, we can’t trust Maria to tie her own shoelaces. How is she supposed to take care of not one, but seven freaking children?! Nice call, Reverend Mother! Instead of keeping Maria in the convent, which would have been the only responsible thing to do to protect her and others from her immature behaviour, you send her off to act as an authority figure for a bunch of kids she has never met. My daughter and I just watched this movie again and it brought to mind this post. Re-reading some of my comments at the end of your “review”, however, was painful! I should have refrained from reading them, but my narcissism got in the way. Thanks for putting up with me! Gee that lady at the end of this thing is a real…oh, that was me!